The actress in question is not Natalie Portman playing Jane Foster, nor is it Cobie Smulders playing Maria Hill. 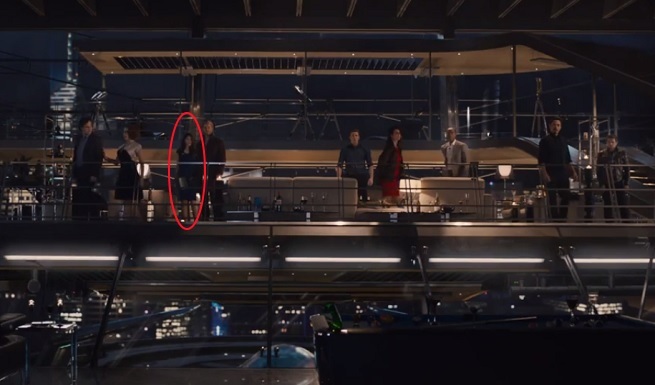 After much debate, BuzzFeed reports that it is, as many suspected, Korean actress Claudia Kim seen standing near to Thor just as the Avengers’ party goes off the rails. BuzzFeed confirmed this with Marvel Studios, though Marvel stopped short of revealing what character Kim is playing. BuzzFeed suggests that she may be Suzi Endo, a scientist who worked in the Cybernetics department of Stark Industries in the Marvel Comics Universe. This sits pretty well with our own theory, which was that she was playing someone assisting Tony with the development of Ultron.